Listen up fashionistas! If you’re as passionate about your interiors as you are your wardrobe, then this latest collection will be right up your style street. 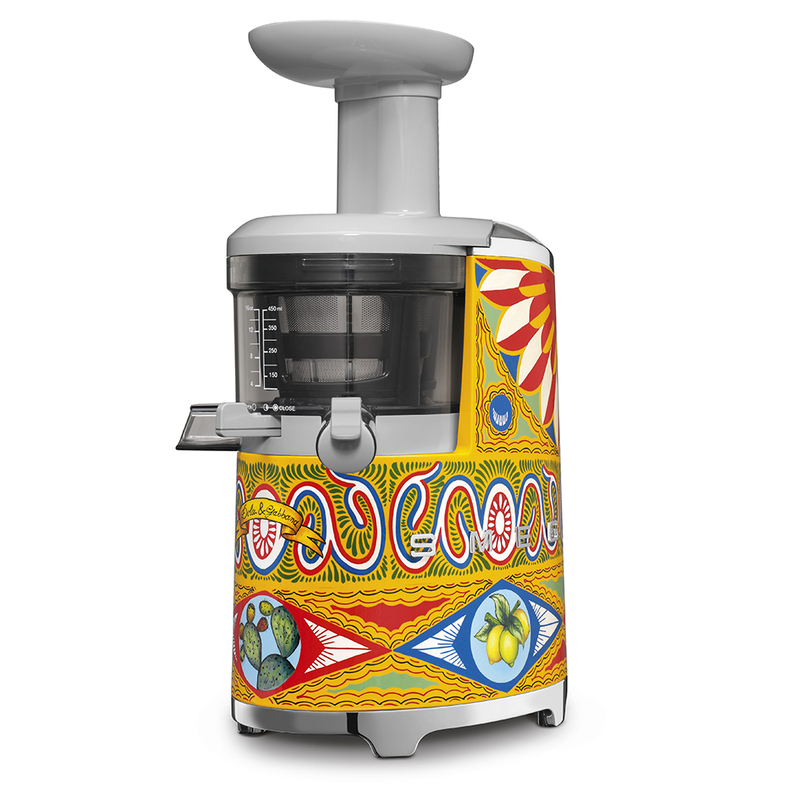 Italian appliance brand Smeg has unveiled its latest collaboration with iconic fashion house Dolce&Gabbana. The new kitchen collection offers the functional quality associated with Smeg’s products combined with the unmistakable, eclectic essence of D&G. The third in this creative collaboration’s portfolio, the new small appliance range will be the star of the culinary show in any kitchen. This is definitely a case of Marmite – you’ll either absolutely love it, or hate it. We’re part of the former crew, because why wouldn’t you want a toaster emblazoned with colourful Sicilian puppet theatre motifs? Designed as part of the Sicily is my Love collection, the line features a range of cooking and food preparation appliances including a kettle, blender, two toasters and two juicers. Each piece is beautifully decorated in signature Dolce&Gabbana fashion with a selection of bold patterns inspired by Southern Italy and the Isle of Sicily. From citrus fruits and delicate floral motifs, to picturesque Greek mythical scenes, the latest designs depict visual representations of Italian culture and history in a range of handy everyday appliances.